Howdy Fellow Blog Land Friends! After weeks of cold weather, snow and ice and being cooped up inside I am giddy over having a couple of nice sunny days in the 60’s. Yesterday the mercury climbed up to 68! Whoohoo! Today I will be heading out into the garage to do some painting for a client. 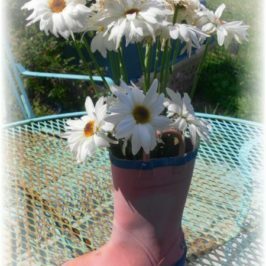 I am sooo ready for Spring! With Spring coming up in a few weeks you may be thinking about Spring cleaning and getting organized. 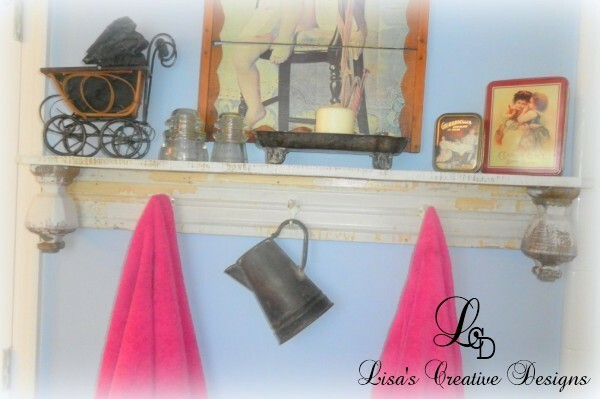 Today I am going to share with you some creatively upcycled coat rack and towel rack projects I have done over the years. 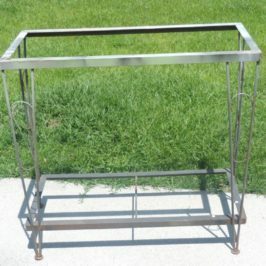 You can purchase generic, massed produced coat racks from places like Walmart or Target but we can do better than that. I love working with old architectural salvage. With some new paint and some hooks these Upcycled Shutter Coat Racks are great for hanging towels in a bathroom or coats and bags in an entryway or a mudroom. 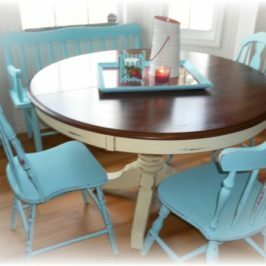 I have a bright aqua blue one hanging by the front door and love it! 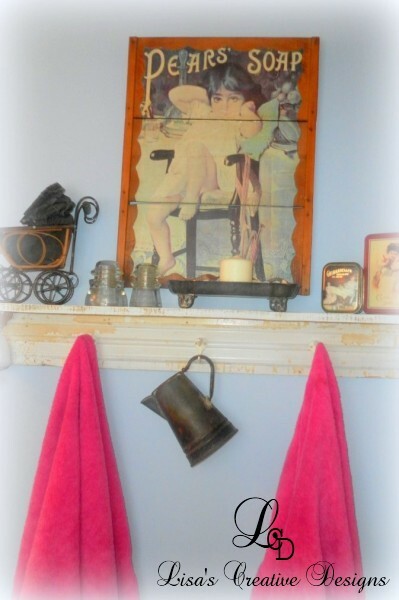 I bought some old molding at a salvage store a few years ago and did some creative upcycling with them. I bought a few cast iron seahorse hooks at one of my favorite craft stores and painted them. I added three of them to a piece of molding. 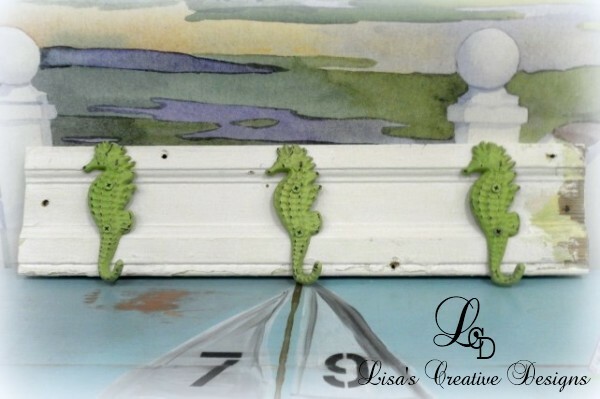 The old weathered moldings give these upcycled coat / towel racks charm. 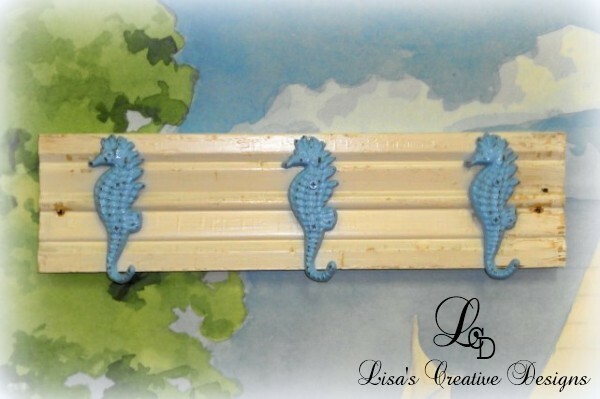 These Seahorse Inspired Upcycled Coat Racks would be perfect in a beach inspired bathroom to hang towels on or even wet bathing suits! 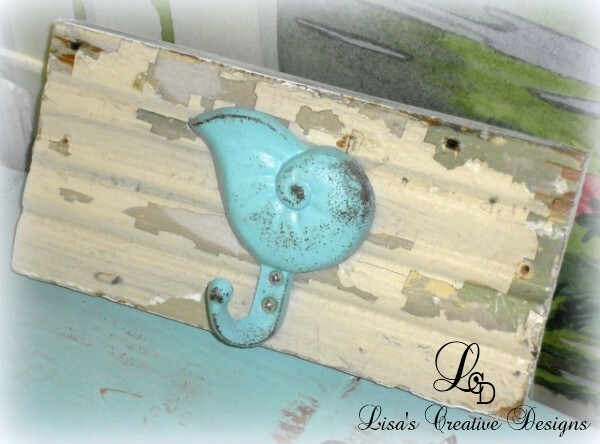 With a smaller, left over piece of molding I created this small hook with a cast iron shell hook that I painted and distressed. I recently created a nifty coat rack out of a broken dresser drawer front. 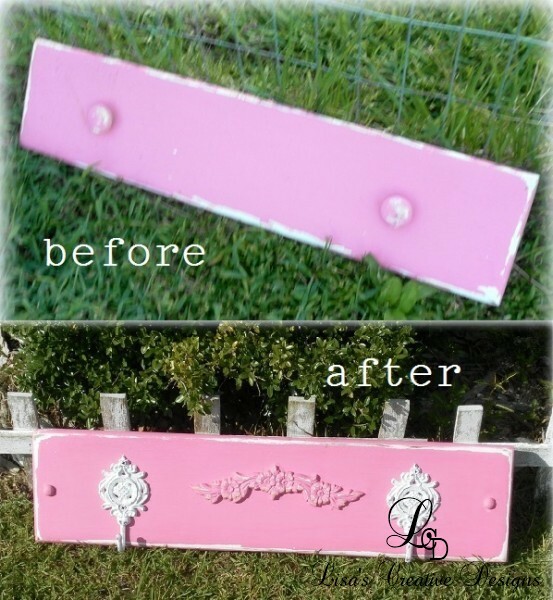 I removed the knobs, touched up the hot pink paint, distressed it a little and added some sweet decorative hooks. 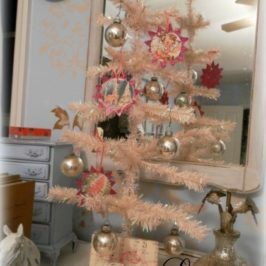 This “pretty in pink” upcycled coat rack would look cute in a girl’s room holding dress up clothes, necklaces or purses. Check out the before and after photo…. 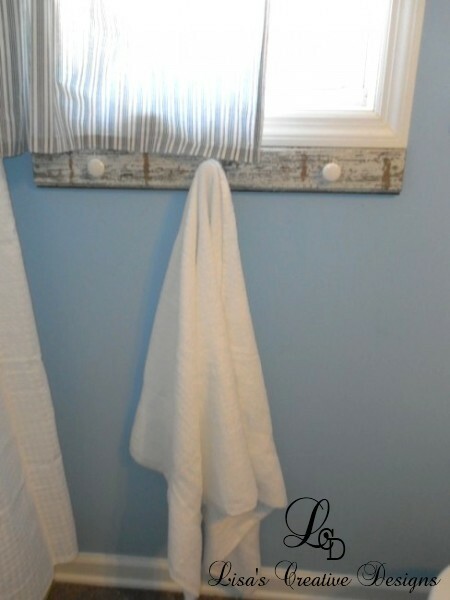 In my small beach inspired bathroom I have a small piece of vintage molding that holds our towel. All I did was seal the wood and add ceramic drawer pulls. I have a similar one in my kitchen that holds my vintage apron collection. Last year I redecorated my master bathroom and went with a Shabby Chic theme. My favorite piece in the room is this large shelf that doubles as a towel rack. I created it out of salvaged molding (again), two large weathered finials and a fence board for the top of the shelf. I added a few simple hardware store hooks to complete the project. I may eventually swap out the hooks for something more ornate but I love it! So, before you run out to the store to purchase a ready made, non-original towel rack for your bathroom or coat rack for your mudroom, think about these project ideas. 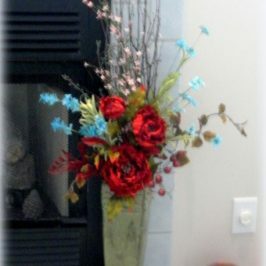 Purchase or make one out of recycled materials!